Nice home on a large, level lot with fenced back yard and 2 garages. Easy walk or bike ride to nearby Tahoe City&apos;s many shops and boutiques and public lakeside park Commons Beach. 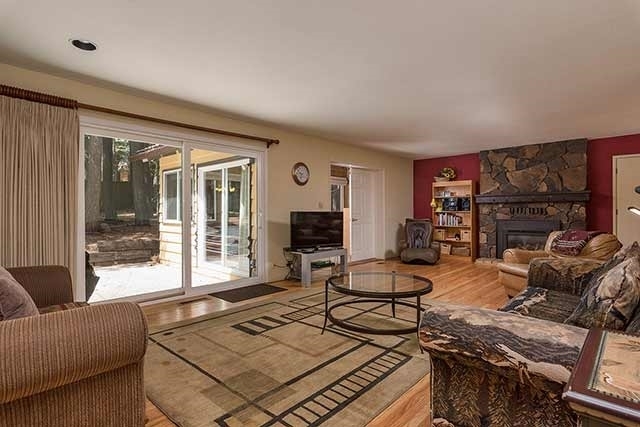 This single level home has 3 bedrooms (1 ensuite) and a 4th bonus bedroom/den, and 2 full bathrooms. Strong rental history if you want to enjoy some extra income - entire month of July was booked every night. Great neighborhood close to mountain trails accessing Paige Meadows for the adventurous outdoor explorer.